Harajuku and Aoyama are two attractive districts on the west side of Tokyo. With plenty of broad streets, fashionable stores and trendy restaurants and cafes, these are among the most pleasant areas of Tokyo for strolling. Free from skyscrapers, Harajuku and Aoyama are characterized by lovely tree-lined avenues and European-style restaurants, cafes and shops. The area is the playground of Tokyo's wealthiest citizens and fashionable young people. The famed Goth Girls pose for photographers on the bridge leading from the station to Meiji-jingu Shrine. And if you get tired of watching them, just stroll up wide Omotesando and check out the beautiful young things in Tokyo sporting the latest and wildest fashions in the city. Further along, you enter the wealthy district of Aoyama, where the real money hangs out. This is home to the superb Nezu Museum. Surrounded by a huge expanse of forest, this superb Shinto shrine is one of Tokyo's top attractions. If you're lucky, you'll catch a glimpse of a traditional Japanese wedding being held at the shrine. On the way from Harajuku Station to the shrine, check out Tokyo's famous "Goth Girls" posing for pictures on the bridge. After visiting the shrine, head to Omotesando for shopping and food. The Nezu Museum is my favorite museum in all of Tokyo. The museum is sublime, hosting incredible shows of Japanese art and the occasional foreign exhibit. And the adjoining garden, which is included in the museum entry, is a small wonderland of gardens, tea houses and magical trails through the woods. Don't miss it! This wide tree-lined avenue running southeast from Harajuku Station toward Aoyama is the main street of Harajuku and one of Tokyo's most fashionable avenues. It's one of the best shopping streets and people watching zones in the city. This large and popular park to the south of Meiji-jingu Shrine is a good place for a stroll or picnic. You can often catch some interesting street performers here. It's on the way to Shibuya, so you can take in the park when you walk from Harajuku down into Shibuya. This small but excellent museum of Japanese wood block prints of "the floating world" is recommended for fans of Japanese art. It's very near Harajuku Station. This street of shops catering to young Japanese people has become something of a tourist zoo in recent years. 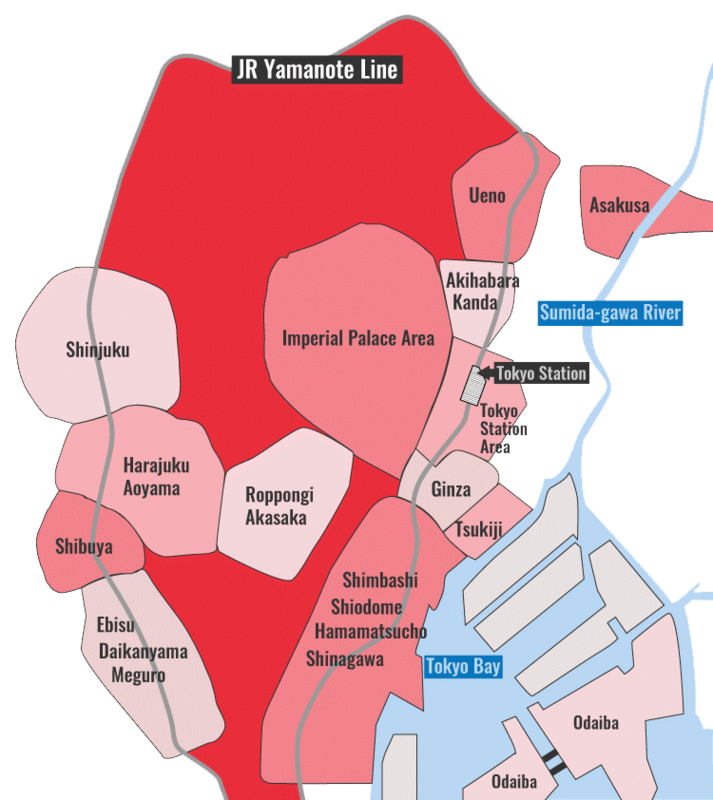 If you want to see the impact of the recent tourism boom on Tokyo, this is a good place. You can always duck out to Togo-jinja Shrine next door for some peace and quiet (see following). This surprisingly peaceful little shrine above Takeshita-dori is a nice place for a break in Harajuku. Continue through to the pond and then make your way down to the exit on Meiji-dori. There's a flea market on weekends. 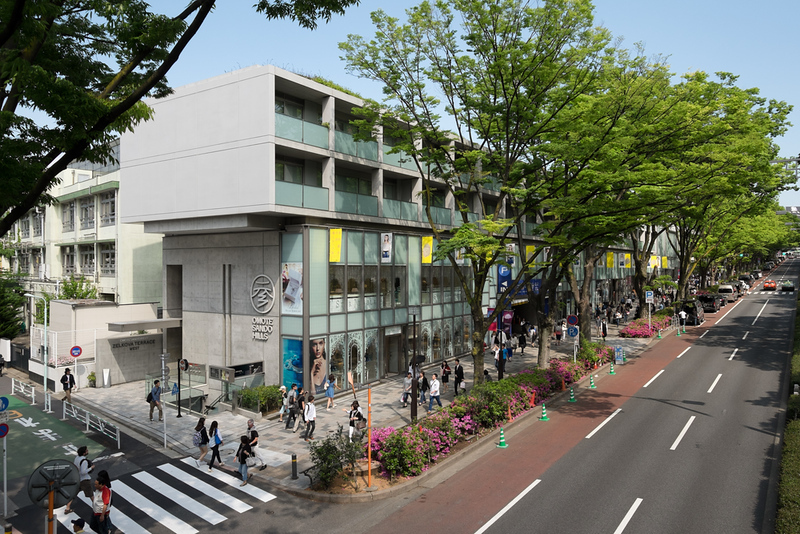 This decent collection of modern art on the north edge of Harajuku is not worth a special trip but might be good if you happen to be in the area. This wildly popular tonkatsu restaurant is something of a tourist trap. Still, the tonkatsu are great and it's worth going, but avoid peak lunch hours. This Hawaiian-style burger joint serves huge and delicious burgers and all the usual side dishes in a casual restaurant a short walk from Harajuku Station. I highly recommend this place for burger fans. This excellent little gyoza (Chinese dumpling) specialist hidden down an alley off of Omotesando is a great spot to fill up for cheap on wonderful gyoza. They even have vegetarian gyoza! Interesting courses of light Japanese fare with creative presentation is the specialty of this small restaurant off of Meiji-dori. A bit of a hike from central Harajuku, this fine Italian restaurant is worth the trip. In a city awash with Italian restaurants, this place really stands out. This excellent teppanyaki restaurant on Omotesando is a brilliant place to sample delicious Japanese meat and shellfish. They offer wine pairings chosen to accentuate the dishes. For some of the best vegetarian food in Tokyo, it's worth walking north of Harajuku to get to this excellent restaurant. I really like this casual café-style eatery a short walk from Harajuku Station (but far from the madness). It's a good place for a fix of Western food. This emporium of kawaii characters and other toys will delight kids who are of the right age for this kind of thing. It's right on Omotesando. I'm not usually a fan of giant souvenir emporiums like this, but this place is well done and most of the goods are of a high quality. This small foreigner-friendly Japanese arts and antique store is worth a quick look while browsing along Omotesando. While you stroll along Omotesando, you'll see some of Tokyo's trendiest young people out sporting their wild wear. To find out where they buy it, check out this building crammed with fashion shops and boutiques. It's popular and not high-end. Another one of Ando Tadao's brutalist concrete abstractions, this popular shopping mall is crammed with some of Tokyo's most expensive boutiques. Not far from Aoyama Itchome subway station, this is an excellent one-stop shop for all sorts of Japanese handicrafts. Just off of Takeshita-dori, this excellent pub is a great place to try local and international craft beers. A huge multi-level club in Aoyama that hosts a variety of Japanese and international DJs. Check the Fai website to see what's on.